Do not think that I have come to abolish the Law or the Prophets; I have not come to abolish them but to fulfill them. For truly, I say to you, until heaven and earth pass away, not an iota, not a dot, will pass from the Law until all has happened. Therefore whoever relaxes one of the least of these commandments and teaches others to do the same will be called least in the kingdom of heaven, but whoever does them and teaches them will be called great in the kingdom of heaven. For I tell you, unless your righteousness exceeds that of the scribes and Pharisees, you will never enter the kingdom of heaven. As we begin, I want us to be honest with what the text (above) says and does not say. By focusing upon what is (and is not) said, and being honest about what we find, that should help deflect any unnecessary debates or arguments. In other words, if the text (above) doesn't say something clearly, or at all, I want us all to have a healthy attitude and not debate or be dogmatic about what we think Jesus must have meant, or could only have meant. With that in mind, I want us to examine whether Jesus said that every “iota” and “dot” of the Law would pass away. Is that what Jesus said (above)? Upon close examination, no matter how you slice and dice the text, Jesus most certainly does not say that every iota and dot would pass away. With certainty, the only claim which can be made is that Jesus promised some iota or dot definitely would pass away at some point in time, when “heaven and earth pass away.” So then, with this in mind, we can be certain that, in the very least, Jesus (and Matthew) intended to communicate that a time was certainly coming in which some of the Law would necessarily change. When “all has happened”, as Jesus said, the Law and the prophets would be fulfilled, bringing about the passing away of “heaven and earth.” That was a certain event on the horizon, in their future. What, then, did Jesus mean by “until heaven and earth pass away”? And how does this claim fit into the surrounding context of this Sermon about Christians being persecuted and falsely accused on his account, and of the Kingdom of heaven approaching near? I will begin by answering the first question. At first glance it seems obvious that Jesus could have only meant the passing away of the literal, physical cosmos of “heaven and earth” as we now know it through scientific investigation. That means, presumably, the literal, physical cosmos would pass away before any iota or dot of the Law passed away as well. (Remember, Jesus did not say that every iota or dot would pass away. He only promised that some would.) If this is what the reader wants to commit to, then he or she must also commit to no aspect of the Law passing away yet—not one iota or jot—because the literal, physical cosmos has not passed away yet (at least, not that I'm aware of). All of the law, therefore, must still be binding and authoritative as it was originally intended and composed—with no apparent qualifications offered by Jesus—until the literal, physical cosmos passes away. If that’s the position you want to pick and stick with, that’s your decision. I'm no longer encouraging that kind of interpretation. For years I was a "theonomist," and I still recognize the merits of such deeply biblical convictions. But I'm convinced that in order to make sense of what Jesus actually said, studying it within the context of Matthew's Gospel is most appropriate. That way the reader doesn't have to do all sorts of mental gymnastics with other New Testament Scriptures in order to rationalize their convictions. If a "theonomic" spin is the kind of interpretation you’re committed to, feel free to skip the rest of what I offer as an alternative. And yes, there is an alternative. That alternative is this: Jesus was referring to a symbolic cosmos of “heaven and earth” passing away, which would bring about a necessary change of the Law after all of that had happened, being “filled full” by Jesus himself. What, then, exactly is this symbolic cosmos? Now the tent within those pillars was the most holy place, God’s dwelling place; but the rest of the tent was the tabernacle, which was open for the priests. This proportion of the measures of the tabernacle proved to be an imitation of the system of the cosmos; for that third part thereof which was within the four pillars, to which the priests were not admitted, is a heaven peculiar to God. "All authorities concur in the declaration that "when all these things should have been done,” as our Lord said, "the end" should come; that "the mystery of God should be finished as he had declared to His servants the prophets”; it should be completed; time should now be no more; the end of all things (so foretold) should be at hand, and be fully brought to pass; in these days should be fulfilled all that had been spoken of Christ (and of His church) by the prophets; or, in other words, when the gospel should have been preached in all the empire for a testimony to all nations, and the power of the Holy People be scattered (abroad), then should the end come, then should all these things be finished. I need now only say, all these things have been done: the old and elementary system passed away with a great noise; all these predicted empires have actually fallen, and the new kingdom, the new heaven and earth, the new Jerusalem—all of which were to descend from God, to be formed by His power, have been realized on earth; all these things have been done in the sight of all the nations; God's holy arm has been made bare in their sight: His judgments have prevailed, and they remain for an everlasting testimony to the whole world. His kingdom has come, as it was foretold it should, and His will has, so far, been done; His purposes have been finished; and, from that day to the goal of his purposes in time, it will be the duty, as indeed it will be the great privilege of the Church, to gather into its bosom the Jew, the Greek, the Scythian, the Barbarian, bond and free; and to do this as the Apostles did in their days--in obedience, faith and hope. Clearly then, if we operated with this same understanding of a symbolic cosmos in which sociological structures and concepts were understood in terms of cosmic geography and temple ideology, it’s not difficult to discern that Jesus and other first century Jews would have been thinking of the world as they knew it—the microcosmic locus of which was contained in their temple, in Jerusalem, as designed in God's Law. Indeed, later statements of Jesus within this very same Gospel—Matthew’s Gospel—seem to suggest that their "heaven and earth" would pass away with their old covenant temple administration. In Matthew 23-24, Jesus uses the same phrases, and yet he clearly referred to first century events regarding the destruction of Jerusalem and its temple. 23:29 “Woe to you, scribes and Pharisees, hypocrites! For you build the tombs of the prophets and decorate the monuments of the righteous, 30 saying, ‘If we had lived in the days of our fathers, we would not have taken part with them in shedding the blood of the prophets.’ 31 Thus you witness against yourselves that you are sons of those who murdered the prophets. 32 Fill up, then, the measure of your fathers. 33 You serpents, you brood of vipers, how are you to escape being sentenced to hell? 34 Therefore I send you prophets and wise men and scribes, some of whom you will kill and crucify, and some you will flog in your synagogues and persecute from town to town, 35 so that on you may come all the righteous blood shed on the land, from the blood of righteous Abel to the blood of Zechariah the son of Barachiah, whom you murdered between the sanctuary and the altar. 36 Truly, I say to you, all these things will come upon this generation. 37 “O Jerusalem, Jerusalem, the city that kills the prophets and stones those who are sent to it! How often would I have gathered your children together as a hen gathers her brood under her wings, and you were not willing! 38 See, your house is left to you desolate." 24:1 Jesus left the temple and was going away, when his disciples came to point out to him the buildings of the temple. 2 But he answered them, “You see all these, do you not? Truly, I say to you, there will not be left here one stone upon another that will not be thrown down.” 3 As he sat on the Mount of Olives, the disciples came to him privately, saying, “Tell us, when will these things be, and what will be the sign of your coming and of the end of the age?” 4 And Jesus answered them, “See that no one leads you astray. 5 For many will come in my name, saying, ‘I am the Christ,’ and they will lead many astray. 6 And you will hear of wars and rumors of wars. See that you are not alarmed, for this must take place, but the end is not yet. 7 For nation will rise against nation, and kingdom against kingdom, and there will be famines and earthquakes in various places. 8 All these are but the beginning of the birth pains. 9 “Then they will deliver you up to tribulation and put you to death, and you will be hated by all nations for my name's sake. 10 And then many will fall away and betray one another and hate one another. 11 And many false prophets will arise and lead many astray. 12 And because lawlessness will be increased, the love of many will grow cold. 13 But the one who endures to the end will be saved. 14 And this gospel of the kingdom will be proclaimed throughout the whole empire as a testimony to all nations, and then the end will come. …29 Immediately after the tribulation of those days the sun will be darkened, and the moon will not give its light, and the stars will fall from heaven, and the powers of the heavens will be shaken. 30 Then will appear in heaven the sign of the Son of Man, and then all the tribes of the land will mourn, and they will see the Son of Man coming on the clouds of heaven with power and great glory. 31 And he will send out his angels with a loud trumpet call, and they will gather his elect from the four winds, from one end of heaven to the other. 32 “From the fig tree learn its lesson: as soon as its branch becomes tender and puts out its leaves, you know that summer is near. 33 So also, when you see all these things, you know that he is near, at the very gates. 34 Truly, I say to you, this generation will not pass away until all these things have happened. Heaven and earth will pass away, but my words will not pass away. Notice carefully that in both statements of Jesus, the exact same kind of phrase is used twice, and they both declare that “heaven and earth” will pass away when “all has happened.” Yet Jesus also says twice that all will happen in that generation. Now the point in what we are saying is this: we have such a high priest, one who is seated at the right hand of the throne of the Majesty in heaven, a liturgist in the holy places, in the true tent that the Lord set up, not man. For every high priest is appointed to offer gifts and sacrifices; thus it is necessary for this priest also to have something to offer. Now if he were on earth, he would not be a priest at all, since there are priests who offer gifts according to the law. They serve a copy and shadow of the heavenly things. For when Moses was about to erect the tent, he was instructed by God, saying, “See that you make everything according to the pattern that was shown you on the mountain.” But as it is, Christ has obtained a liturgical-ministry that is as much more excellent than the old as the covenant he mediates is better, since it is enacted on better promises. For if that first one had been faultless, there would have been no occasion to look for a second. Behold, the days are coming, declares the Lord, when I will establish a new covenant with the house of Israel and with the house of Judah, not like the covenant that I made with their fathers on the day when I took them by the hand to bring them out of the land of Egypt. For they did not continue in my covenant, and so I showed no concern for them, declares the Lord. For this is the covenant that I will make with the house of Israel after those days, declares the Lord: I will put my laws into their minds, and write them on their hearts, and I will be their God, and they shall be my people. And they shall not teach, each one his neighbor and each one his brother, saying, ‘Understand the Lord,’ for they shall all know me, from the least of them to the greatest. For I will be merciful toward their iniquities, and I will remember their sin-offerings no more. Now even the first [covenant] had regulations for liturgy and an earthly sanctuary. For a tent was prepared, the first section, in which were the lampstand and the table and the bread of the Presence. It is called the Holy Place. After the second curtain was a tent called the Most Holy Place, having the golden altar of incense and the ark of the covenant covered on all sides with gold, in which was a golden urn holding the manna, and Aaron’s staff that budded, and the tablets of the covenant. Above it were the cherubim of glory overshadowing the mercy seat. Of these things we cannot now speak in detail. These preparations having thus been made, the priests go regularly into the first tent, performing their ritual duties, but into the second [tent] only the high priest goes, and he but once a year, and not without taking blood, which he offers for himself and for the unintentional sins of the people. By this the Holy Spirit indicates that the way into the holy places is not yet opened as long as the first tent is still standing (which is a parable for that time into the present). According to this arrangement, gifts and sacrifices are offered that cannot perfect the conscience of the worshiper, but deal only with food and drink and various washings, regulations for the body imposed until the time of reformation. But when Christ appeared as a high priest of the good things that have come, then through the greater and more perfect tent (not made with hands, that is, not of this creation) he entered once for all into the holy places, not by means of the blood of goats and calves but by means of his own blood, thus securing an eternal redemption. For if the blood of goats and bulls, and the sprinkling of defiled persons with the ashes of a heifer, sanctify for the purification of the flesh, how much more will the blood of Christ, who through the eternal Spirit offered himself without blemish to God, purify our conscience from dead works to serve the living God. Therefore he is the mediator of a new covenant, so that those who are called may receive the promised eternal inheritance, since a death has occurred that redeems them from the transgressions committed under the first covenant. The book of Hebrews isn’t the only New Testament scripture to teach that some necessary change in the Old Covenant Law was necessary. There are many others. And now is not the time to discuss the specific details of how the Law has changed. I just want to point out how clear the Scriptures are that the Law of God itself taught some necessary change by Christ and in Christ, and that those changes did not abolish all of the Law. All of the necessary changes to God’s Law have come to pass by Christ and in Christ. But it’s not necessary that we think of these “changes” as abolishing the Law or the prophets as a whole. 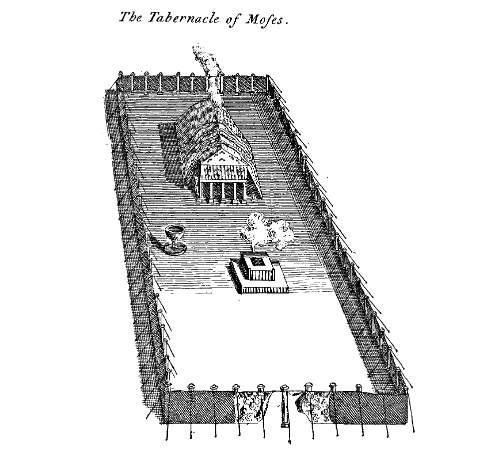 If we are thinking in the context of first century Christianity, between 30—70A.D., with the transition from the old covenant administration to the new administration, what would get abolished in that generation was the old covenant temple, which was essential to the whole old covenant administration prescribed in the Law of God. As Christians who care about understanding the entire Bible in it’s historical context, we must keep in mind that it is literally and physically impossible to keep the “whole law” of the old covenant administration without the old covenant temple. That is what Jesus and his apostles referred to when describing the definitive “end” of the old creation and the beginning of a new creation. Jesus began his temple-replacement project with his incarnation, death, and resurrection. With his ascension he began to make the old temple obsolete, preparing the people of Israel for it's inevitable point of vanishing away, as promised. With the destruction of Jerusalem and Herod's idolatrous temple in 70A.D. his vindication was complete; heaven and earth passed away; everything promised about end of the Old Covenant administration had all happened. What does this mean practically for the Church today? First of all, it means that Jesus "filled full" all of the Law and prophets in order to build a new temple in his Body, the Church. That also implies that a necessary destruction of the old temple was required. But notice carefully that by destroying the old temple and it's whole administration that does not at all imply that the Law or the Prophets would be destroyed. Rather, by filling full the Law and the prophets, Jesus was promising to build upon them and incorporate them into the transfigured temple of his Body, the Church. Therefore, it is not at all unreasonable to think that the Church would be wise to retrieve and utilize what is essential to the Law’s design and the Prophet’s vision, as long as their retrieval is for the purpose of building upon that sure foundation of the new Christ-centered “heaven and earth," instead of merely rebuilding the ruins of the old temple and it's administration which Jesus damned. People often mistakenly assume that this cannot be the case. Jesus supposedly could not have been teaching that the Church may retrieve what is wise and essential to the Law. It must be all of the Law or none of the Law (and all grace instead), it is argued. Otherwise, why did Jesus say that anyone who relaxes the least of these commandments and teaches others to do so would be considered least in the kingdom of heaven? Certainly—or so it is thought—Jesus requires Christians to keep every iota and dot of the Law (i.e. “the least of these commandments”), and he does so in order to teach us that we cannot possibly keep it. And since we can't possibly keep it, we ought to get rid of our need for it entirely in order to focus on how gracious God is in saving us apart from it. That is what I want to discuss in the next post. Is that really what Jesus taught? By saying that, was Jesus referring to "the least of these commandments" contained in the Law and the prophets? Or was he referring to something else? And how would such a claim--as you imagine it--fit into the surrounding context about first century Christians being persecuted and falsely accused on his account, and of the Kingdom of heaven approaching near?